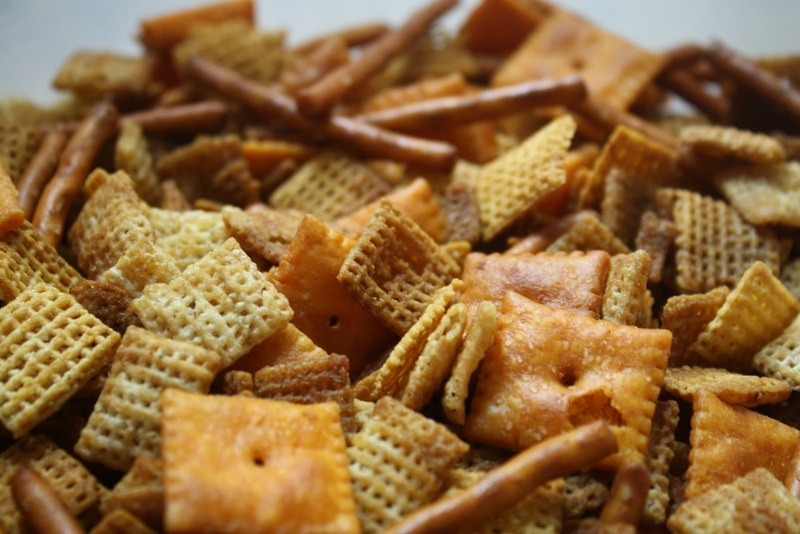 The thing I like about making my own chex mix is that it's completely tailored to my own liking. I don't like peanuts, or almonds, or wheat chex. And guess what? I don't put them in my chex mix. I know, crazy, right?? I'm so wild. Here are the ingredients for my own chex mix. Feel free to spice it up to your own tastes! This is an easy one to whip up. Then mix your nice crunchy things like chex, pretzels, cheezits, peanuts, etc etc together. Now take your other ingredients and mix them together. Now pour this over your crunchy good stuff. Spread it out on some cookie sheets and pop them in the oven for an hour. 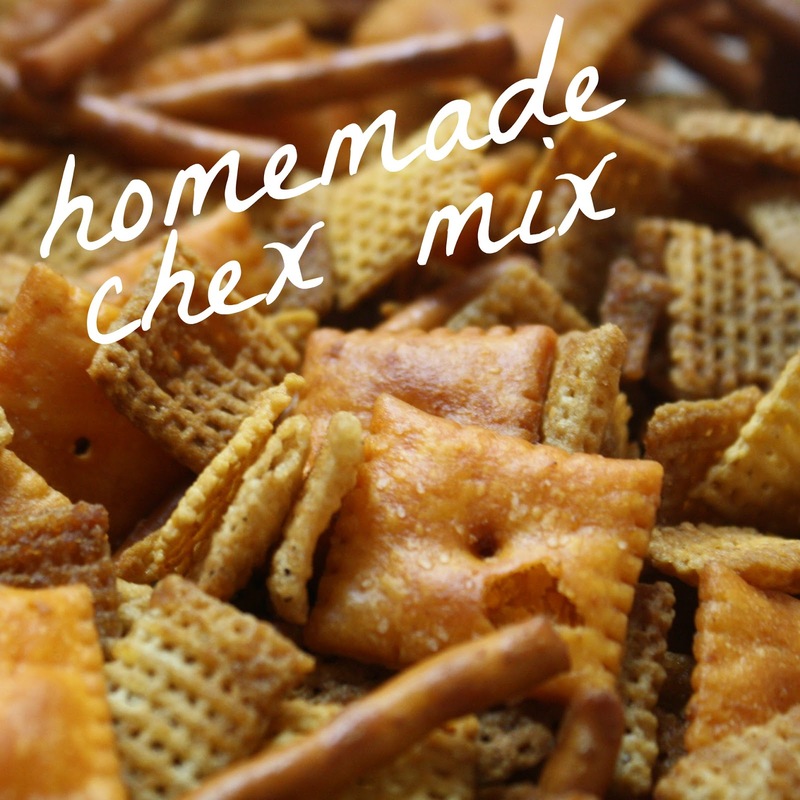 I usually give my chex mix some time to sit after I've taken it out of the oven. Wrap this snack in a festive container and it makes for an awesome Christmas gift too!